If you’re looking for more than just a desk when searching for new office space, a LABS membership is for you. With a desk space in Holborn, you’ll benefit from a central London location that’s cost-effective for your business. Just a minute-walk from Holborn station, you’ll have desirable transport links on your doorstep. Our dedicated desk membership means ultimate flexibility. Have your own space which is quiet to focus without the distractions, as well as a dynamic lounge area, featuring a coffee bar, a variety of seating and a great soundtrack to keep you motivated throughout the day. LABS is a workplace you can be proud of, with unrivalled technology and beautifully designed spaces. We also offer meeting rooms, community spaces and private offices. With our Holborn campus opening in Summer 2018, you’ll have lounge and meeting room access across multiple sites and be able to connect with more like-minded people in your community. Speaking of community, have we mentioned you can invite other members for a coffee? Search by skill on the LABS app and you can organise a coffee meet at the touch of a button. Our events are also a great way to meet new people and socialise with your colleagues. With regular talks, workshops, and networking drinks covering a wide range of topics, there’s something for everyone. What coworking means to us, is somewhere to grow your business. We’ll make the right introductions, offer the services you need and give you the platform to help you succeed. Working in our dedicated desk space in Holborn costs £500 per month. Because we’re open 24-hours a day you can work at the time that makes most sense for you. 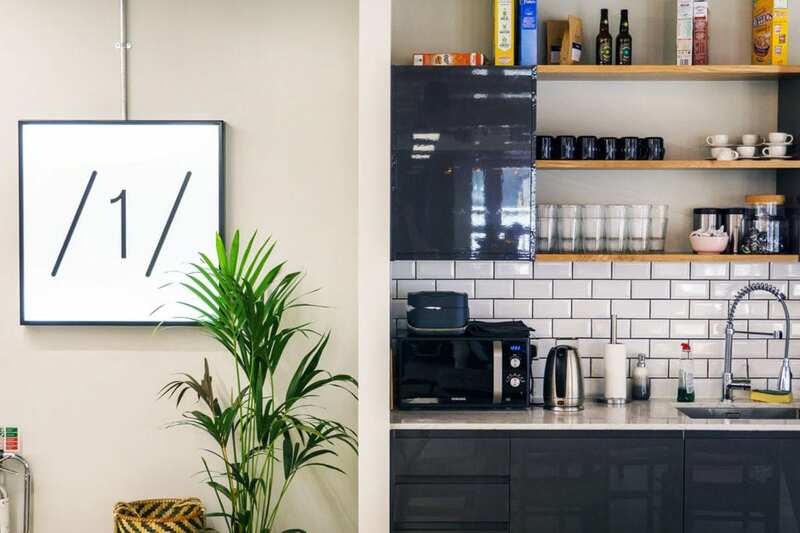 Whether you’re a one-man band or a business of four, a dedicated desk space in Holborn is the perfect solution to help your business thrive.